Montagn'Hard 107K 2017: tamed that beast, finally! More than 5 weeks without posting, how sloppy is that for a blogger aiming at weekly updates... I feel really bad about it but at least it's not that I've been injured, I certainly did run in the meantime, 338 miles actually. As a matter of fact, I wrote two articles which I didn't dare to post as I was coping with extensive travel, a few family events and a few demanding situations at work, and needed a break from the social networks pressure. Anyway, I'm back as I'm taking a real vacation in Africa and here is a special race I have to talk about first. 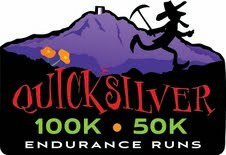 Quicksilver 100K 2017: a cool home run! Miwok 100K 2017: great hill training at least! At least or, after 3 road races in April (100K Road Nationals, Boston Marathon and Ruth Anderson 50K) and no hill running on trails since the 50K Trail Nationals in February, great hill training at last! Before Quicksilver 100K next week and Ohlone 50K the following week, it was about time. As I made my way up the first climb of the Sean O'Brien 100k this past weekend I could only focus on the circle of light ahead of me and everything else around me, the mist, the darkness, even the people, may have well as not been there. It wasn't because I was suffering just yet, but because I was in the moment. I was feeling the flow as Meghan Hicks and I discussed last week in our podcast. I put one foot in front of the other continually. In my focus I was surprised to see the sun, when I looked up. The sunrise had begun and I hadn't even realized. Fiery orange and cool blue stretched over the horizon, capped with clouds, as I looked on to the rising ball of fire. I didn't stay long, just enough for a picture. The climb beckoned. I love to climb. Not vertical walls, I'm not a rock climber. But, to push my body on a near vertical trail is pure bliss for me. That first climb was not near vertical. But, I took it for all it was worth and I loved every moment of it. The cool morning air whipping around my sandal clad toes and tossing my hair. The sun beginning to shine brighter and brighter. Jim Gardner lives in Cambridgeshire, UK. On July 2, 2016 he finished the London to Cambridge 100k as his first ultramarathon. Congratulations Jim! Fun fact: Jim is a fitness instructor, and he creates videos which he posts to his YouTube channel, here. Taylor Maltz lives in Washington, DC. On March 12, 2016 he finished the Thomas Jefferson 100k ultramarathon as his FIRST 100k race. Congratulations Taylor! Fun fact: A few days before the race, Taylor experienced a problem he had never had before - allergies. This plagued him even through the race but he got through it anyway. The Ultrafinishers podcast is 100% listener supported. You are invited to become a patron of the show at ultrafinishers.com/support. Quicksilver 100K 2016: a great start and... finish! After the embarrassing DNF at Miwok 100K last week just because of some rain, I had better finish this one and was looking forward to a much more clement weather, or actually a warm day since I'm doing so much better in the heat than cold and humid conditions. Miwok 100K 2016: a great start! It was my third ultra race since the March incident, and Race Director, Tia (Bodington), wasn't thrilled at all when she heard I had a... TIA (Transient Ischemic Attack) recently. I promised to be reasonable and not push too much since doctors have ruled out every possible cause they can think of, leaving us without a firm explanation.